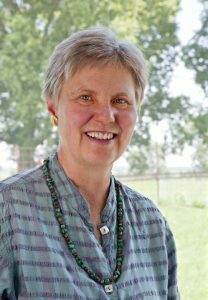 Mary Swander, a poet laureate from Iowa and BEI Emeritus Fellow, was interviewed for an episode of My Fulfilled Life. Swander speaks about her journey through family farming, addressing social justice, connections to food and her two plays, Vang and Map of My Kingdom. Click here to listen to Mary Swander’s full interview. Started worked with students on a farscape play about farming and it took off!